Tanaji Malusare city, the mammoth low-cost housing project coming up in Karjat, will have a motorised skywalk connecting all the facilities in the township and to Karjat station. The planned skywalk would be the first coming up in this fast-developing rural area. The skywalk will be approximately 2 km long and cost Rs 18 crores. Pravin Banavalikar, CEO, TMC, said, "It will curve around the settlement and connect all the main utilities, including schools, recreation centres, play centres and hospitals to it. As it is motorised (has a moving floor, like the ones at airports and tube stations abroad), the 60,000 residents will have to access it through a paid swipe card. However, the finer modalities have not been worked out yet." Tanaji Malusare city, tagged as India's largest social housing project, will be spread across 100 acres in Shirse and Akurle villages of Karjat. 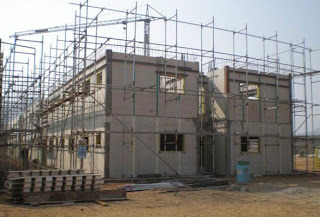 It will consist of as many as 15,000 homes for about 60,000 people. 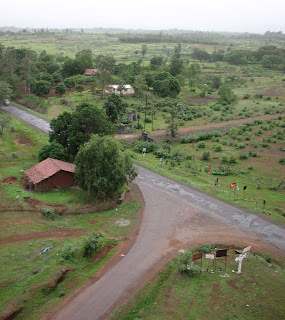 The uneven roads are a common sight in Karjat especially during the monsoons. The Mumbai Metropolitan Regional Development Authority (MMRDA) has finally decided to improve the roads in four council areas including Karjat, Raigad, Kulgaon-Badlapur and Ambarnath. MMRDA will spend around Rs 30.49 crore on construction and improvement of 15 major roads. Four roads in Karjat, three in Kulgaon-Badalapur municipal council area and six in Raigad will get a face-lift. According to the proposal, MMRDA will provide nearly 90% of funds for road development. The spokesperson of MMRDA was quoted as saying that their aim was to make internal roads motorable through out the year. "There are many internal roads in these council areas which are not motorable, especially during and after monsoon. Many a time, state transport buses are not able to reach far-off areas since these roads are not motorable enough."